ROBOTILL released version 3.72 of their Point Of Sale Software System. 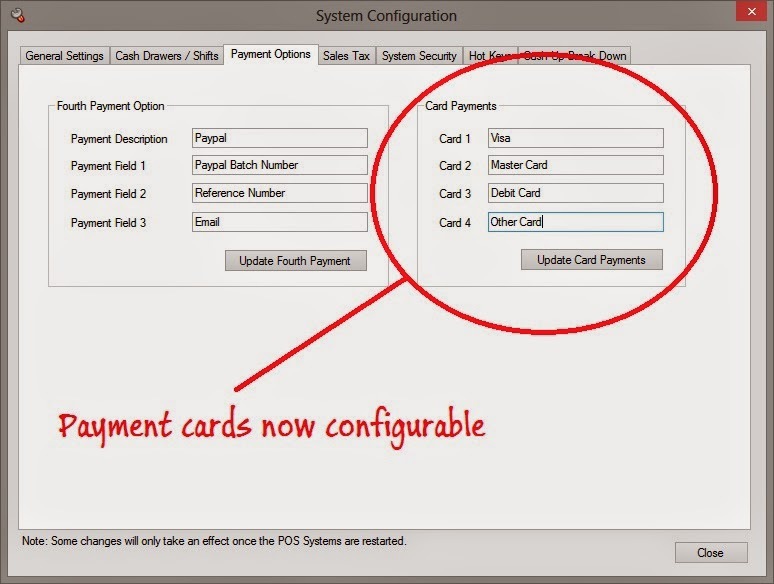 The new version allows you to configure the available card payment options. It is also possible to configure the fourth payment option (check/cheque) and change it to something like PayPal or any other payment system. You can download the FREE Edition of ROBOTILL here.